New Delhi: India’s Defence Minister Manohar Parrikar told Rajya Sabha today said that no naval base has been established by China in Seychelles. The Minister went on to inform the House that the Government is aware of Chinese participation in development projects in the Indian Ocean Region and keeps a constant watch on all developments concerning the country’s security. Replying to a query by Ambika Soni, the Defence Minister said that modernization of Indian Navy to create capability for future threats and challenges is an ongoing process. 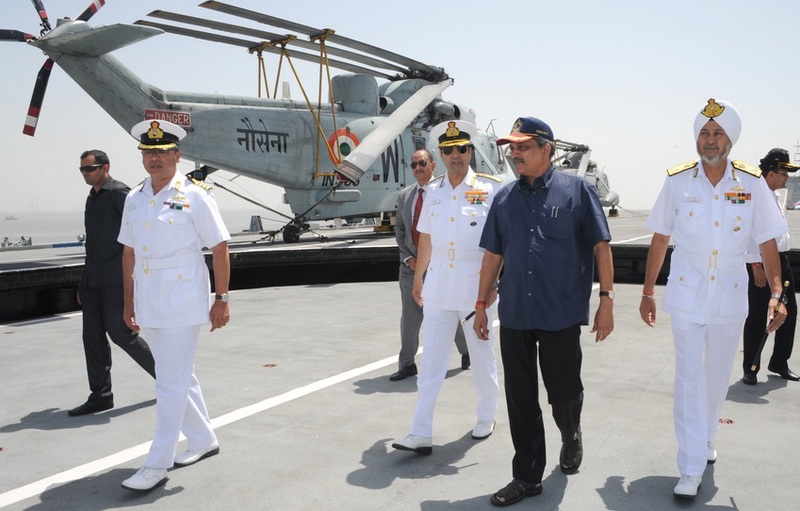 Parrikar said that the strength of the armed forces is decided keeping in focus the threats in the region and the Indian Navy continuously monitors areas of national interest and undertakes regular evaluation of the maritime security environment in the Indian Ocean, Bay of Bengal and Arabian Sea. This was stated by the Defence Minister in a written reply to another question by V Maitreyanin in Rajya Sabha. Parrikar explained that taking into account the security environment and technology, periodic reviews are carried out and the modernization of the armed forces is executed in consonance with the road-map laid down in the Long Term Perspective Plan (LTPP) which specified the capabilities that the armed forces need to acquire over a 15 year period. The Defence Minister further told Rajya Sabha that the Defence Research and Development Organisation (DRDO) has developed sonars for Indian Navy and transferred technology to Indian Industries for manufacture and supply to Indian Navy. M/s Bharat Electronics Limited (BEL) has exported three Hull Mounted Sonars to Myanmar based on the technology developed by DRDO. In reply to a question by Aayanur Manjunatha, the minister said that a number of countries have shown their initial interest to acquire DRDO developed sonar systems. Some of the other DRDO developed products / systems, like radars, electronic warfare systems, AEW&C systems, bridging systems, missiles, torpedoes, decoys and fire control systems can be considered for export to our friendly countries.